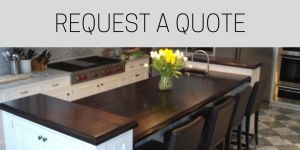 Design the classic white kitchen with Brooks Custom's Premium Wide Plank wood countertops. White cabinetry has been incredibly popular among kitchen design for the past few years. This design choice helps kitchens look crisp, clean, and more open. Wood countertops add contrast and warmth to the overall look of the kitchen. Brooks Custom's Premium Wide Plank wood countertops pair beautifully with this cabinetry trend. The consistency of the wide plank countertops gives the classic white kitchen its elegant furniture-like look. 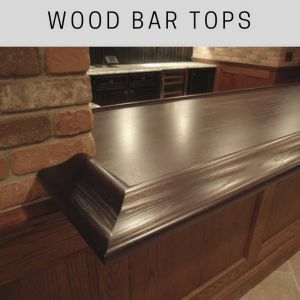 All of the boards used for the countertops are between five to twelve inches (5"-12") in width and are matched for an even and satisfying wood rendition. The selected boards have no sapwood or knots, which ensures the color and grain patterns are consistent throughout your wood countertops. All wide plank countertops are delivered to you direct from our factory showroom. 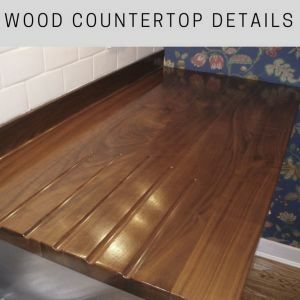 To preserve the uniform nature of the top, boards run the full length of the countertop. We do not use butts joints, unless necessary due to length. 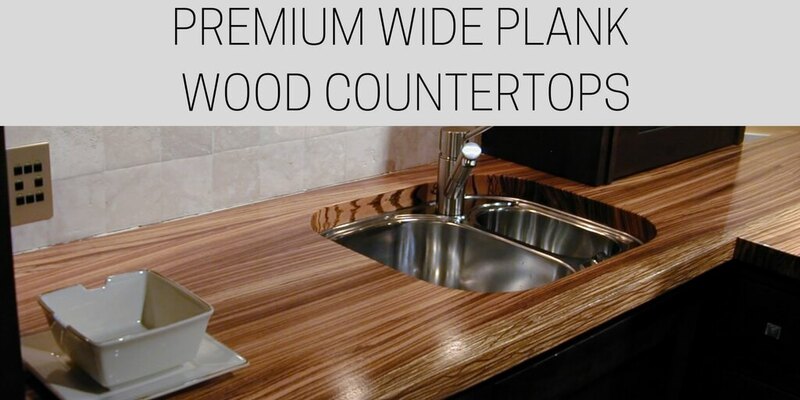 Every Premium Wide Plank countertop is sealed with our signature waterproof Marine Finish. 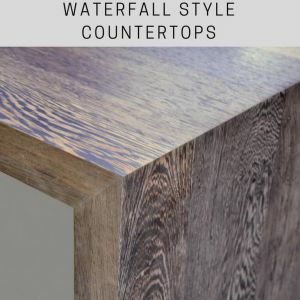 This proprietary finish is the most durable in the countertop industry, giving the countertops a permanent finish that is highly resistant to damage from water marks or stains. This time-tested finish gives your top the protection to last for years.